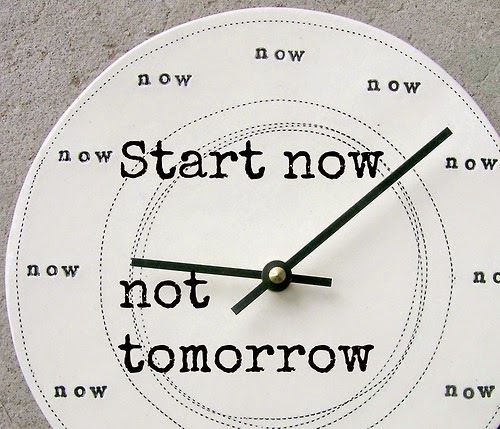 Start Now, Not Tomorrow- My Story Of Mental Health. As I write these words on the page it's impossible to say how people are going to react when they read them, but I am going to talk about two words. Two words which nearly everyone has been affected with is too scared to talk about in case of being judged only to find out more people than ever are also suffering too. If you haven't figured it out yet, I am talking about Mental Health. I have wrote a smaller version of this post and some of struggles before, but I decided now is the time to get real and talk. So I've dealt with Depression since the age of 14, it's been hard always, I've always been the outcast, the weirdo, the freak for as long as I can remember I've always been odd. At first I just thought I was really sad a lot of time no-one talked to me about what I could of been dealing with but I didn't really let on how bad it really was, I was being bullied to the point where I could of taken my own life, I went to counselling and got put on medication many times but nothing seemed to get any better. Somehow for two years I managed to just "deal with it" I'd spend a lot of time eating and gained a lot of weight, but nothing made me feel any better. Last summer I realized I couldn't go on how I was and ended up being re-diagnosed and further to be diagnosed with PTSD (post traumatic stress disorder) due to things which have previously happened to me (don't feel right talking about them on here) some of you may of noticed my HUGE break from blogging, and it was all related I felt like I couldn't even get out of bed let alone, set up perfect pictures, go on the internet, join in with chats and write blog posts and if I did they just wouldn't been to my standard. But after a long break, I am happier than ever and glad to be back. So why am I writing this post may you ask? Well I am writing this post to talk to you about the seriousness of Mental Health and how more people are struggling more than ever, people are scared to talk in case they get judged, you can't see Mental Health- who says it's even a thing to some people its not, some people will never understand, some think depression is sadness etc. But I'm here to say to you, you can do it whether you tell another blogger, a friend, a family member if you are struggling you can talk to people. At the end of the day Mental Health is a REAL thing, people are suffering with it, the same way they are Cancer, and it takes lives also. If you could talk to someone and help them through you could save someones life. I am lucky after many years of suffering I've got true friends, an amazing boyfriend and a support network behind me and one day I hope to beat my illness, I know I'll have down days and I'll never be the same again, but you know what? I'll probably be damn stronger than I have ever been when I come to terms with everything that has happened. Mental Health isn't something to ashamed of, it's not a dirty thing, it's not wrong. Some people will question why I put my business something as personal as this online, but why not? What's wrong with sharing something that could save someone else from suffering in silence. I'm not ashamed of my illness, who I am anymore and neither should you be. The question on everyone's mind, why did I change my name? Or for those who didn't know I changed my name from Jessica Leigh to Olivia Jade, it's something I've thought about for a very long time, and I am SO happy I did it, it's made me feel like I can start over again as the person I've always wanted to be, I feel awkward when I am constantly being asked why so there is your answer, I picked the name because I like it and it makes me happy when people say they are proud of me for doing it or that I'm brave, I am actually starting to agree, it's a pretty big thing to do but I won't ever look back, I am Olivia and I am here to tell you, that no matter what you are struggling with, big or small. If you can't talk to someone you know in real life, you can always send me a message, whether this is appropriate to my blog or not, I don't even care this is something I feel passionate about and I won't be silenced anymore. Thank you if you took the time to read this entire post and I'd love it if you could share it with others as it's something we need to deal with now rather than later. I've wanted to own a piece of Jewellery from Pandora for as long as I can remember, walking past the shop, seeing all the pretty charms in the window, all the glistening earrings and lovely rings. Growing up I would never of been trusted enough with expensive Jewellery! Recently I was offered the chance to review some beautiful Jewellery from Joshua James, I was ecstatic. Joshua James Jewellery is an independent jewelers which stock the likes of Pandora, Thomas Sabo and Troll Beads. Although wanting a charm bracelet is something I have wanted for some time I decided against getting one, due to seeing this beautiful ring. The Pandora Silver & White Enamel Multulpe Flower Ring*. Rings aren't something I usually wear but I made an exception for this beauty, I love the flowers on the ring they look so elegant and it's the sort of ring which would go with anything and with Spring approaching I think it would perfect alongside outfits. It's girly and a few years ago if you had told me I'd love anything flowery or girly I would of laughed, but since growing up a little all I can think about is pretty jewellery! I am writing this post off the back of my hand after this morning seeing the stunt pulled by Taking Shape, their idea is to state how wrong it is to be skinny and how a size six isn't normal? Taking shape is a plus-sized company, therefore, they should know how wrong it is to body shame. People are usually "fat shaming" but in my opinion slating, people for being a certain size is wrong. I have been both ends of the spectrum, at one point I was a size 6, constantly being accused of not eating, asked why I'm so skinny, accused of having eating disorders and then also a size 16, getting called fat, disgusting and unhealthy. I found them both equally offensive as each other, in my eyes, it's YOUR body and you should be whatever size you wish to be. I understand some weights are unhealthy, but that still doesn't deserve to be shamed. What I don't get about their campaign is how they are looking for skinny girls, calling it "#SkinnyBirdWatching" stood out in London looking for girls and shaming them for being too skinny! I think it's beyond disgusting and I don't know how they thought in anyway whatsoever that it's okay to make a campaign like that. 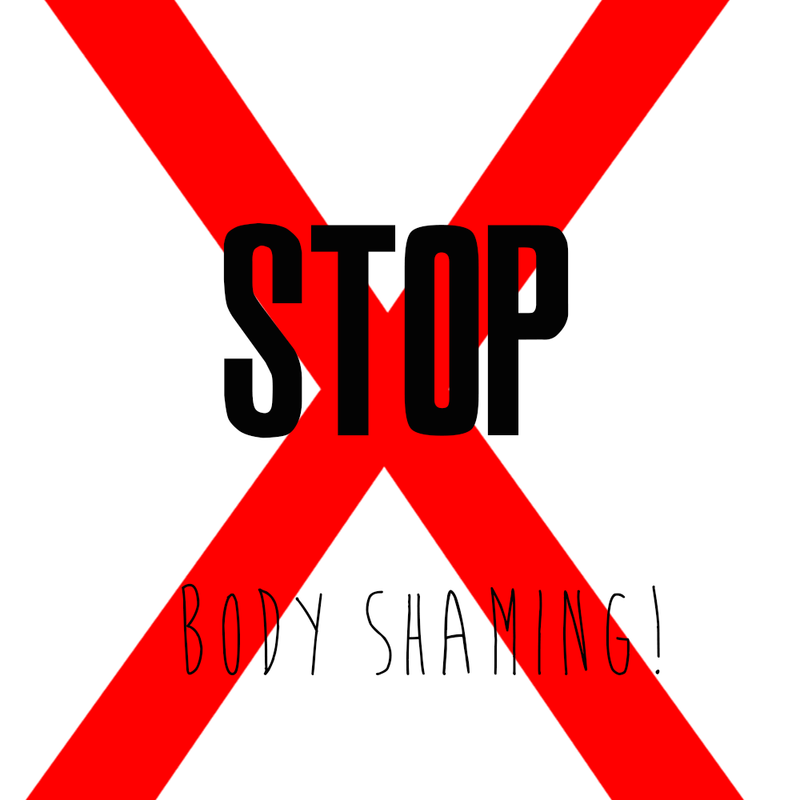 Come on guys, it's 2015 and I don't understand how body shaming is still a thing. Does it make someone less pretty because they are a size 16? Does being a size 6 the only thing that makes you have a perfect figure? OF COURSE NOT. I think the fact that plus sized clothing in itself is pretty offensive I don't see why that's a thing either, a size should just be a size there's nothing plus about it. At the end of the day it's personal preference to be whatever weight and size you want, and it's wrong that it's forced upon you that skinny is always better. But what about those who can't help being that skinny or like their body like that, they most definitely DO NOT deserve to be shamed on their bodies either. So Taking Shape UK, although you're all about the plus sized, how about you consider how you would feel if people were fat bird watching?! It's exactly the same thing and it's most definitely not a compliment to be pulled up on the fact that you're skinny. At the end of the day, a size is just a number and we don't deserve to be defined by a number! 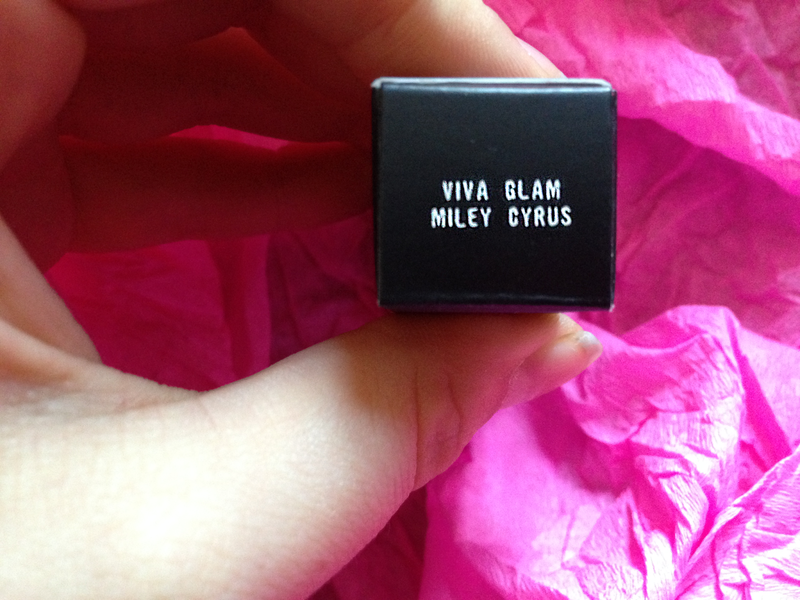 MAC Viva Glam Miley Cyrus! I love that MAC done a various amount of collaborations with different celebrities such as Nicki Minaj, Lady Gaga and Fergie, to create the VIVA glam collection. The difference between this collection from MAC and the others are that all profits from this collection go to the Aids fund, which I think is amazing as it supports others and you get an amazing lipstick out of it. I've got to say this is the first VIVA glam lipstick that I've bought as soon as I heard it was available, As I just love Miley Cyrus, could be the fact that I grew up watching her in Hannah Montana or something to do with the outrageous woman she is now! I love the colour of this lipstick as I think it suits her personality quite well as it's bright and in your face! The Miley Cyrus lipstick is amplified creme which is my favourite type of MAC lipstick formula compared to matte as it never leaves your lips feeling too dry although I've found this can mean it lasts longer or even just Amplified as it has that creamy feeling to it, but still quite a matte texture. I think the bright pink colour isn't as bright as it what it looks in pictures and it's a bit more toned down than what I originally thought it was going to be, but I think it looks great none the less. You don't need to apply much of the lipstick for it cover your lips which is great as it means more for your money. I did find the staying power on this lipstick to be quite long, it does last throughout the day and only needs to be reapplied when colour needs brightening, it also passed the drink test and stayed on throughout me drinking through the day. The packaging for all of the VIVA glam collection is different to normal lipsticks with a red inside and also on the outer packaging. It still has the same black outer packing which we all know and love as MAC. 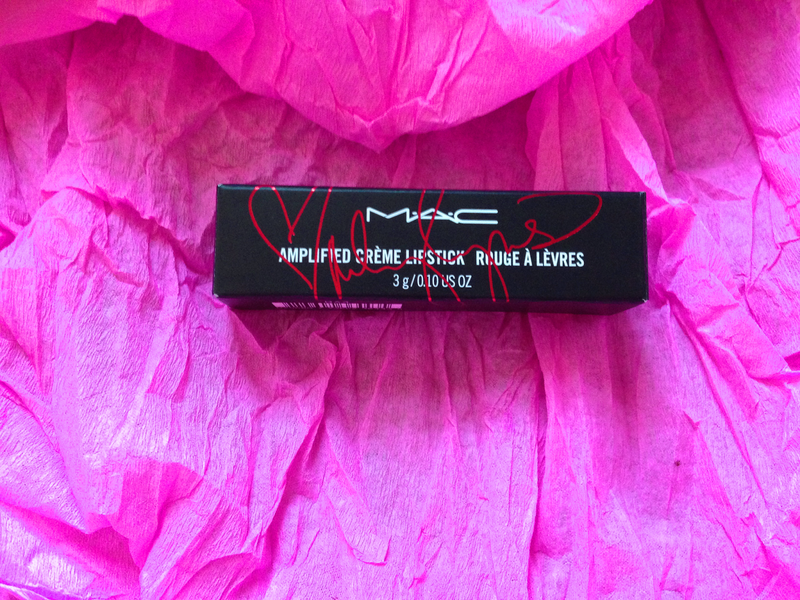 As well as featuring the celebrities signature, on the inside also, which gives the lipsticks that bit more of a personal touch, I love the signature done by Miley it's so swirly and pretty and I only wish I could make myself a better signature (must practice this!) Finally this MAC lipstick is no exception to any others and it still has that amazing vanilla scent which you get which you open the lipstick- giving you that full experience. Love MAC lipstick? I wrote a review of Candy Yum Yum! As most of you will probably know that Saturday is Valentines Day, love it or hate it is celebrated in most places in the world, and even if you're single I still think it's nice as it's a day of love and people showing their love for others, look at me getting all soppy. If you're in a relationship a lot of the time gifts are exchanged, from pretty flowers to the huge heart balloons. But now as well as those things other things are being bought which some people think is great, such as clothes, jewellery and even stationary, everywhere you go there are gorgeous things to show your loved ones that they mean the world to you! I thought I'd make a wishlist of all of the cute things I've seen around and which would be perfect for valentines day or the perfect gift. Pandora Ring*- As soon as I saw this ring I fell in love with it, there's just something about it which says elegance to me, the flowers make it so it is able to worn all year round, which to me would be perfect and symbolize your love and lets face it who doesn't want a Pandora ring? I reviewed the Pandora ring here. Jimmy Choo Perfume- This bottle of perfume looks super girly and fits in with the theme of valentines day and also with diamonds are a girls best friend, this is a lovely smelling perfume which I think most women would enjoy and great for date nights. Jane Norman Dress*- This is perfect for valentines day night itself, if you plan on taking your other half out for a meal, this would give her the chance to feel glamours and not have to stress about what she is going to wear, I went with this one as it's elegant and I love the pink colour as it fits very well with the theme of love and valentines day. Love Hamper- If you want to spoil your other half with chocolate and romantic treats this is the thing for you, with an already built hamper and it looks luxurious, and it's great for the perfect night in with netflix and cuddles. Hey, hows it going? 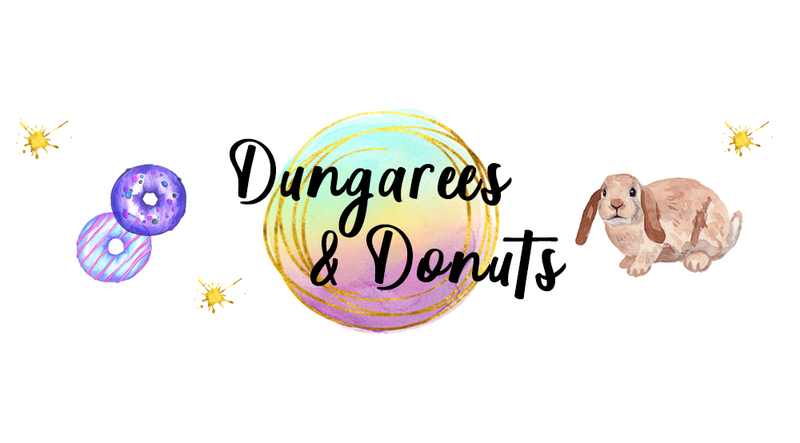 I'm back after yet another long break from blogging, but this time I actually plan to stay, full of fresh ideas and in a better place I'm ready to relaunch Dungarees & Donuts better than ever. At the start of 2015 I started a healthy eating and fitness journey and I have previously tried all of the diets out there and given up after about 2 weeks so this is the longest yet, and although it doesn't seem like very long to some I'm really into it and already lost 8lb of my 4 stone goal. I started my fitness journey weighing 12 stone 4 lbs and hope to end up around the 8 stone mark with a better healthier body. I also started at a size 14/16 and I am now also a 12/14 so I'm making progress, although I am currently using things at home to work out, I plan to invest in a gym membership later on in the year. I also post daily photos of my food on Instagram. So I thought I would start by blogging about snacks which are under 150 calories, there are the obvious ones like, bananas, apples and carrot sticks but I thought I would show you ones for people who have busy lives or have trouble completely removing crisps and chocolate from their diet. I am currently calorie counting eating 1200 calories a day with a half an hour work out daily, so these are handy for me when I get peckish. Some snacks which I have found to taste yummy and also to be quite filling are below: These include the boots shapers range which includes their healthier versions of crisps and they're all under 150 calories, good for us crisp lovers. Next is Propercorn, I have done previous posts on Propercorn as they are a brand I support and enjoy muchly, they have a range of flavours including sweet & salty, sour cream & chive and even sweet vanilla coconut and they're healthy and you get a huge portion size for the calories, I've found it great for snacking when I am in front of the TV. Finally my new love which is bars, I haven't always been a big fan of cereal bars but now their is such a big variety they've grown on me. I recently tried the Nakd bars and they're something I can't live without as they're so tasty and cure my chocolate cravings, these are good for breakfast on the go or even after a workout. With it being Winter, knitwear is all in. Fashion world have an extensive range of clothes for most sizes ranging from 10-36 which are priced to suit all budgets. They have a wide range of jumpers and cardigans to suit most women. Fashion world have kindly sent me a product of my choice to review. When given this option i decided to choose the Dogtooth Boyfriend cardigan because i feel that it suits my style of clothing and will appeal to my audience. The reason why I like this cardigan is because it is comfortable, warm and can be worn outside and inside. This cardigan can be purchased for £32.00 (now £15.00) directly from the Fashion world website. The cardigan features a dogtooth print which is inspired by monochrome trend of spring 2013. I like this Cardigan because it would suit any body shape and looks good with almost anything (jeans, leggings and skirts) and can be worn casual or dressed up with a nice necklace and heeled boots. It's always good to have a statement piece in your wardrobe and something which is easy to style up in to whatever you want and I feel this cardigan does just that.